Among the race of the amazing smartphones, Razer has launched its first debut smartphone, which is a leading gaming tech company. 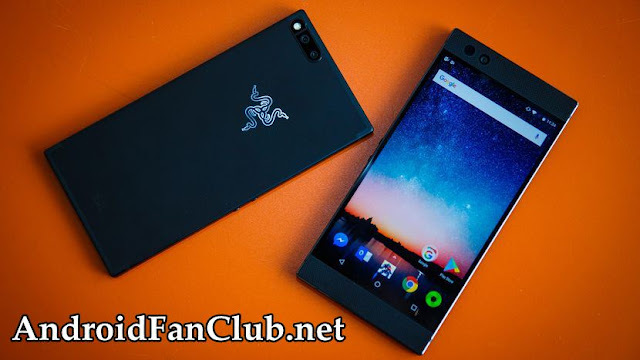 The debut handset of this gaming company has just entered the smartphone world and is called a Razer Phone, and as expected it is not an ordinary smartphone. It is not a gaming phone, but a phone made for gaming. So what’s it looks like? Is it worth buying? Here’s what the Razer Phone has got for you! 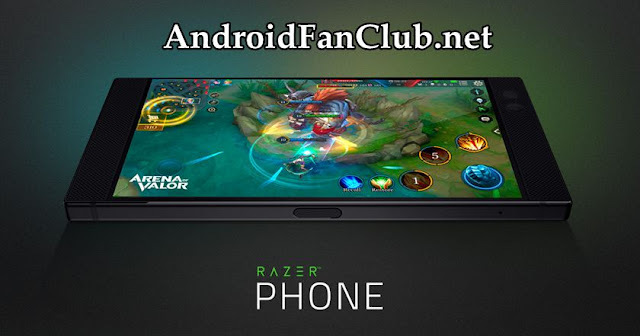 According to the gaming company, Razer, the Razer phone is designed typically for everyone, who simply wants a pure Android experience with some great hardware and features. However, along with that, the phone has got some several tweaks that make it simply the best smartphone for the gamers as well. Here are the key features mentioned. If you are a fan of Razer Blade Laptops, you will probably love the design of Razer Phone. The handset is made from a solid metal black chassis along with the green icon. It looks like that the company has taken the design cues from the Nextbit Robin, however, it adds its own flair, giving the phone a look in keeping with other Razer products. The rest of the design of the Razer phone is typical comprising of dual sizable front-facing speakers with a 5.7-inch QHD IPS Sharp IGZO display. Display of the Razer Phone is where the magic start to happen. As mentioned, the phone’s screen incorporates IPS Sharp IGZO display with two key pieces from Razer’s computer range. The first one offers the variable refresh rate up to 120 Hz, that however, not all games would support. The second is Ultra-Motion. That allows the GPU to synchronize with the refresh rate and instruct the display when to render a new frame. The Razer Phone runs the Android Nougat along with the confirmed update of Android Oreo, the next year. As far as the performance of the Razer Phone is concerned. Razer phone is fairly stable and generally great for everyday tasks. Snapdragon 835 processor, Adreno 540 GPU along with the expandable storage capacity up to 64 GB and 8GB of RAM are used in Razer Phone. The Whole package is powered by the monster 4,000 mAh battery, coupled with software optimization for battery usage. This allows an ultimate gaming and mobile experience for the users. The Razer phone combines dual 12MP rear cameras – one wide and one telephoto lens. Along with the optical stabilization and Phase Detection Autofocus. Not only this, the phone ditched the headphone jack, following the Apple’s trend and offered the Qi fast charging technology as well, in it’s debut phone – The Razer Phone. Not only this, the phone has also incorporated several game booster features to offer the next level gaming experience to the users. In a nutshell, the Razer Phone looks very promising with the affordable price tag of $699 in the US.